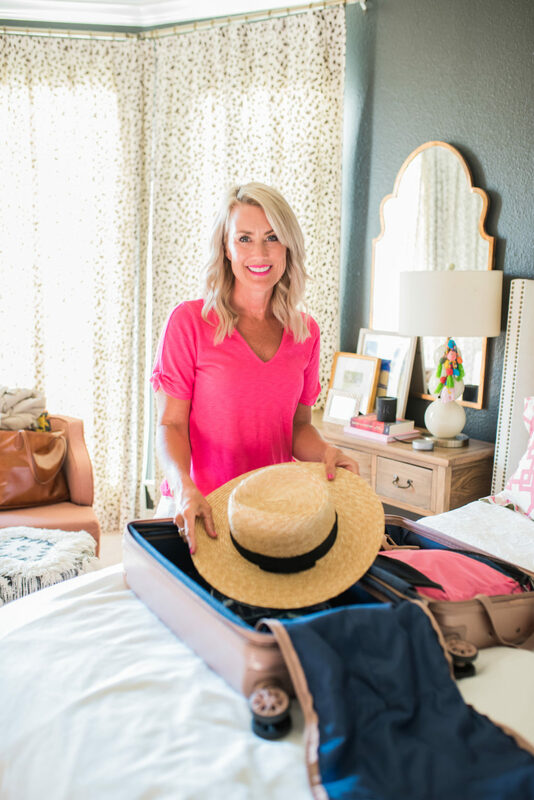 How To Pack a Hat | hi Sugarplum! Cheers to Friday, friends, and the weekend ahead! We’re soaking up our last days at the beach before heading home for all things back to school! 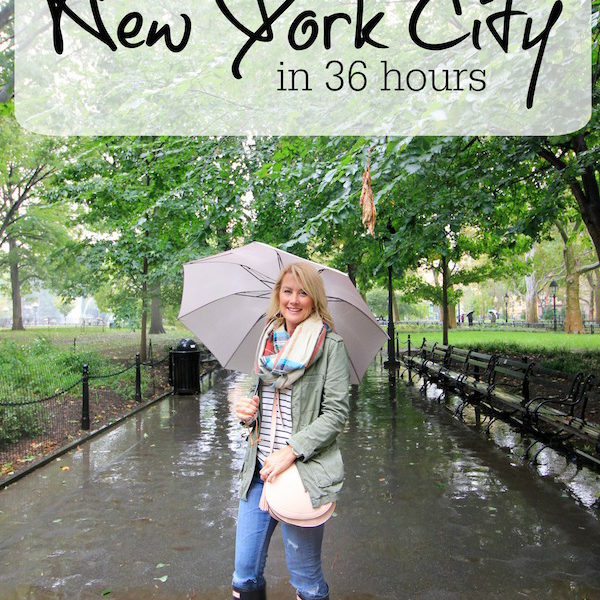 I think I’m dreading it as much as the kids…I just love having them home! I hope y’all have had a wonderful summer, too! 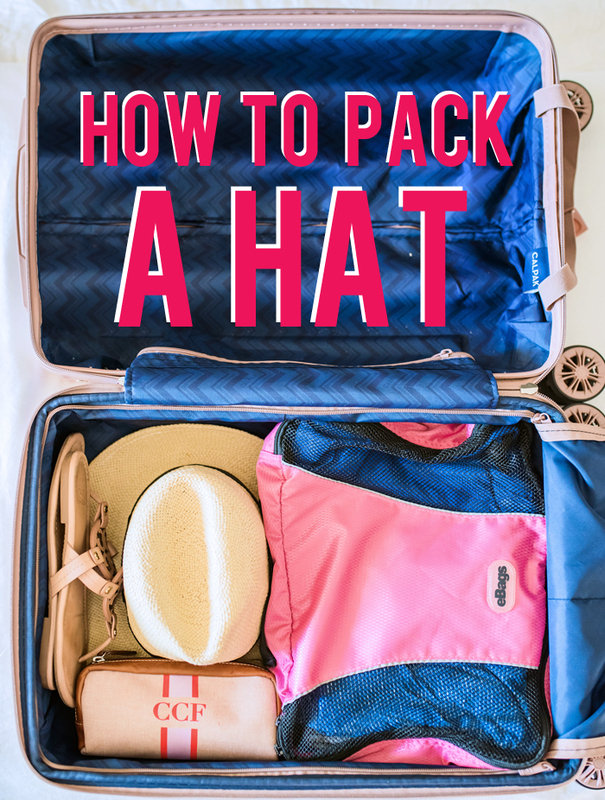 I answered the first question a few weeks ago, and shared everything I pack in my carry-on bag for long flights (see it here), and today I’m spilling the simple trick for packing hats! And if you’ve been following me for a minute, you know I never travel without a hat, regardless of the season! So let’s talk about how I get said hat to my final destination! Sometimes I just carry it on the plane, placing it in the overhead bin if there’s room, or tucking it at my feet. 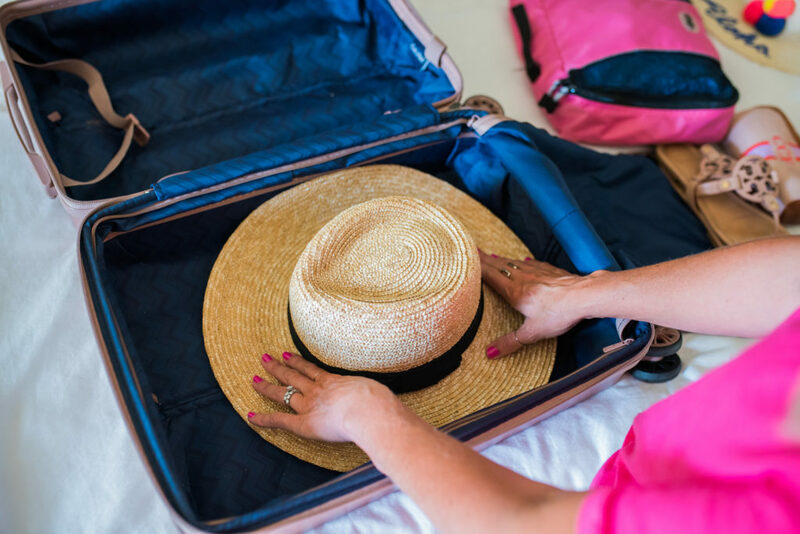 But most times I pack it, especially if I want to bring more than one hat! 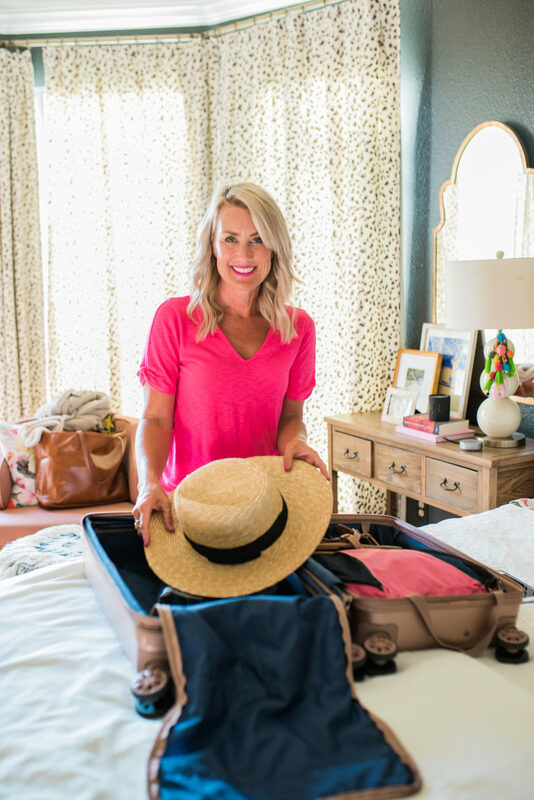 It really is so simple, I almost feel silly writing a post about it…but it’s literally my number one question lately about travel! 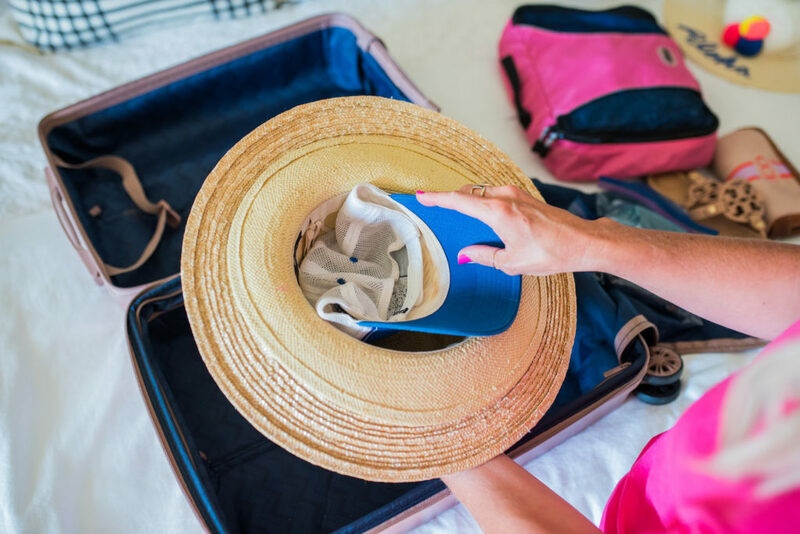 To keep the hat from getting smushed or collapsing, fill the crown with smaller items like swimsuits, undergarments or tank tops. 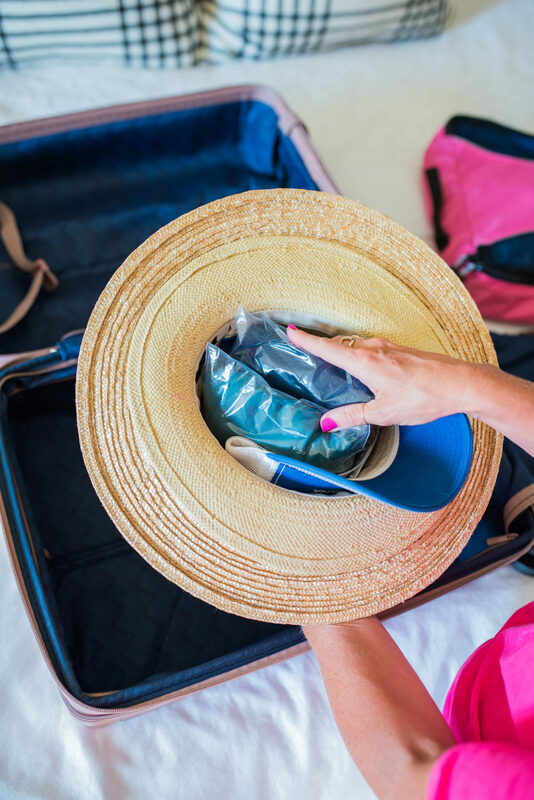 I store my swimsuits in ziplock bags at home, which makes it really easy to grab-and-go, and keeps them organized in my suitcase. They’re also the perfect size to stuff the crown. 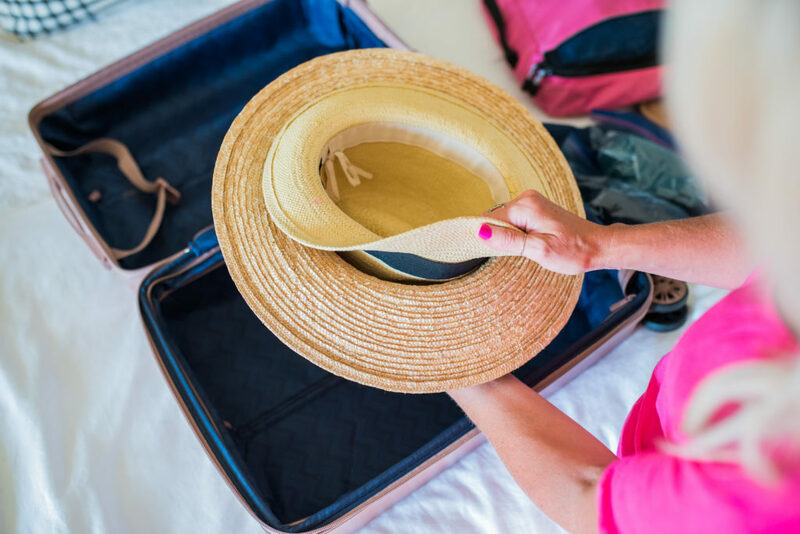 Flip the hat and place it on the flat surface inside your empty suitcase. 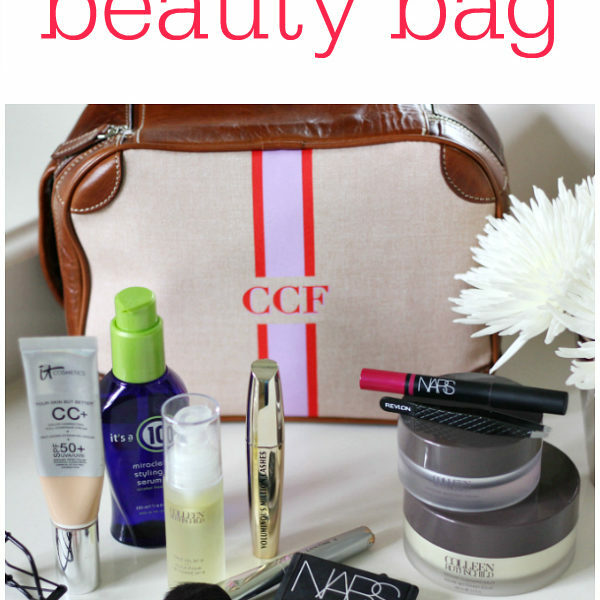 I use this hard-shell bag, but it works with soft bags, as well. Just place the hat on the bottom, not the top ‘flap’. Pack remaining items around the hat, holding its form and keeping it in place. See, so simple! And the same theory applies if you want to pack multiple hats. Stack the hats to form a single hat, with the largest hat on the outside. Fill the crown with other items. 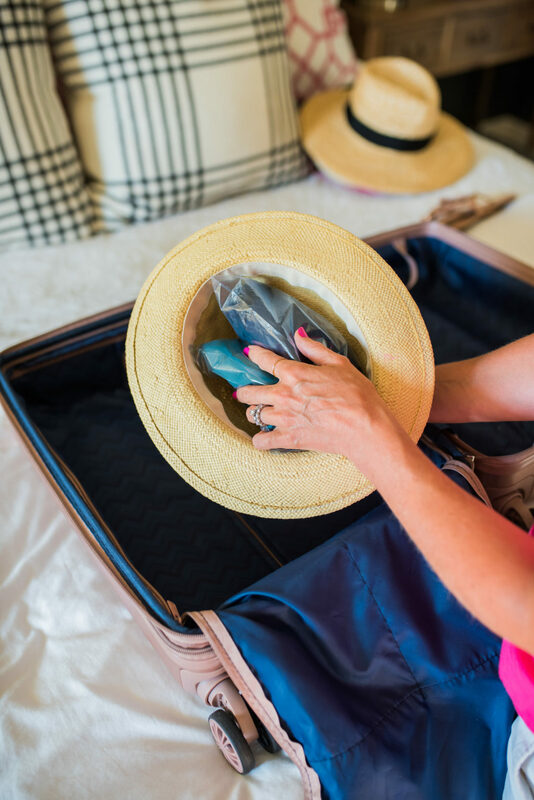 Place in empty suitcase and pack around it! 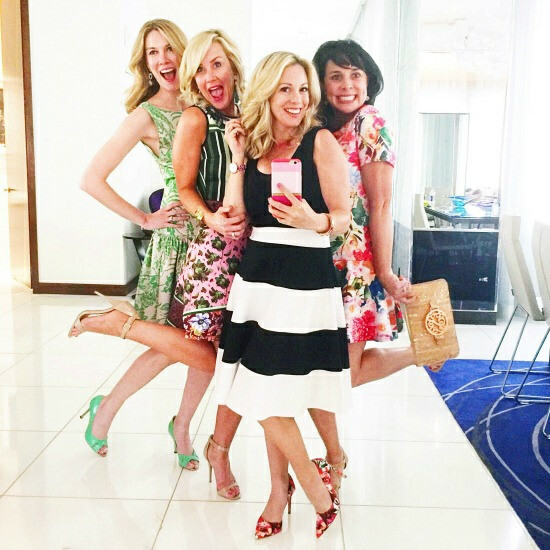 And don’t forget, this is the final weekend for the Nordstrom Anniversary Sale! All the fun Fall things go to full price Sunday at midnight. 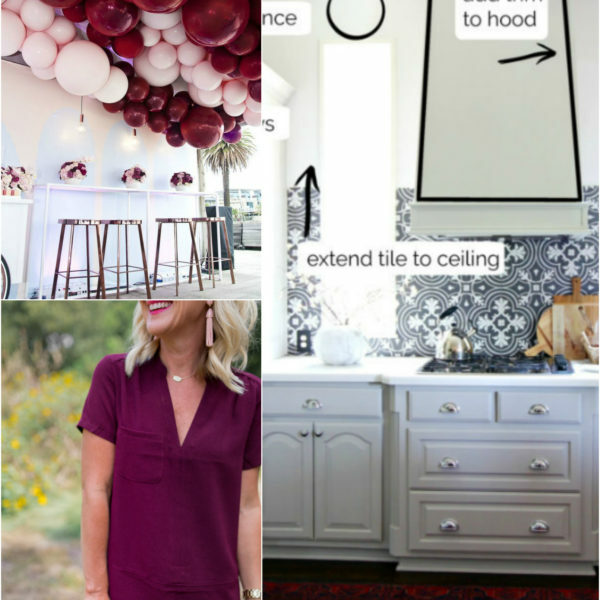 You can see all my favorite finds here, but these are my top picks. Happy weekend, lovebugs! Scala makes some crushable straw hats that are great. I’ve had a Scala crushable straw fedora that has been my go-to vacation hat for years. I’ve smooshed it, and sat on it and it still looks great and holds it’s shape. 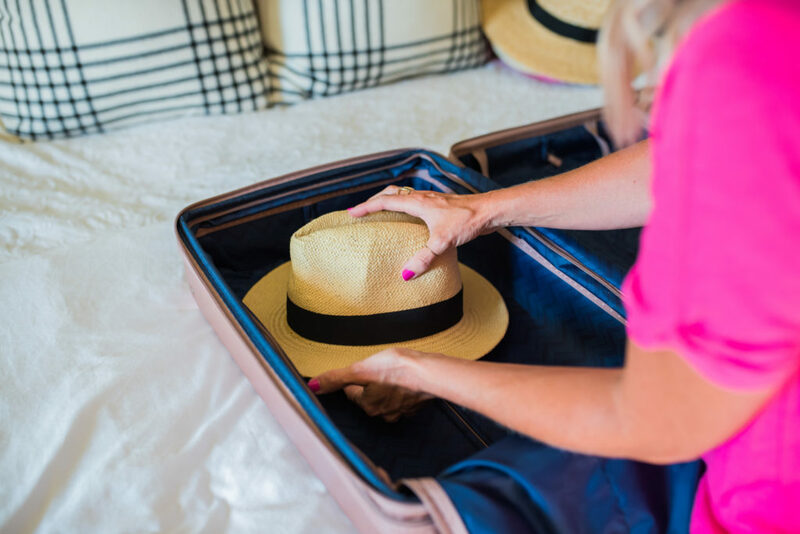 My husband travels with a very expensive fedora that is beautiful but we have to treat it like a baby when we travel. Even he admits that my hat is great! 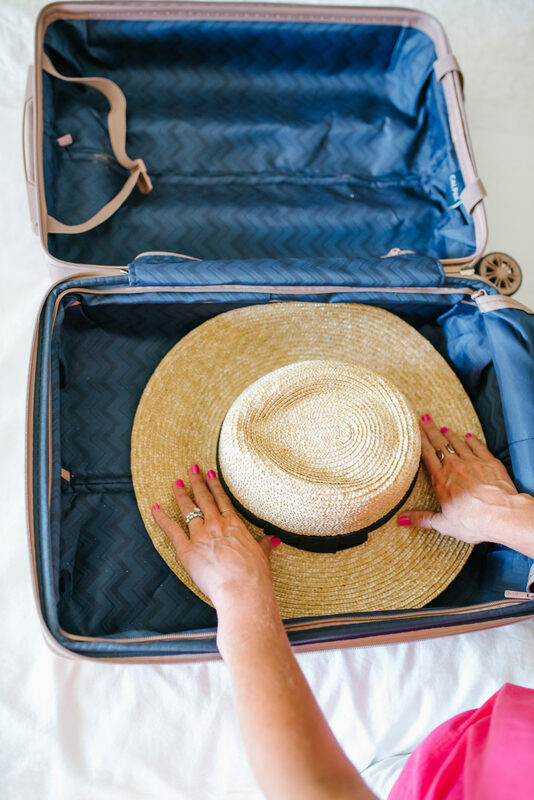 I wear hats too and never thought to pack them like this. You are so entertaining and sweet, Cassie! 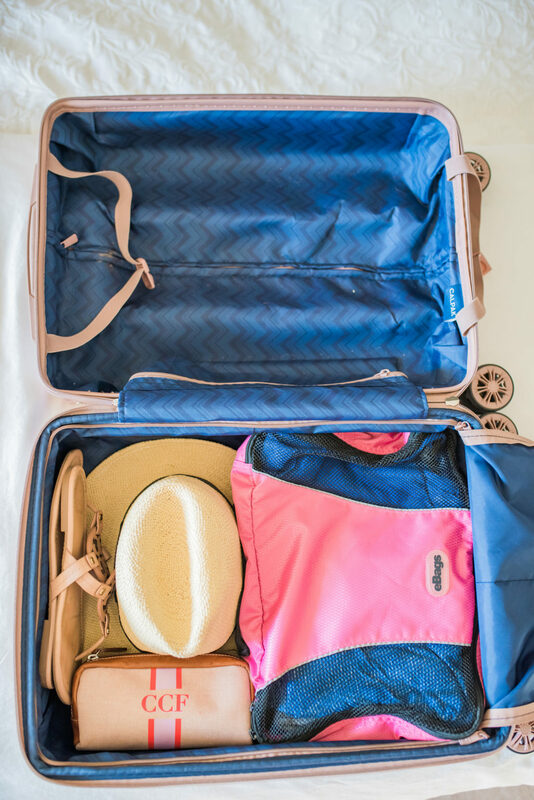 I did invest in some ebags and it was so easy to stay organized when I travel to Las Vegas for a conference. I just left everything is my suit case pulled out what I needed each day. 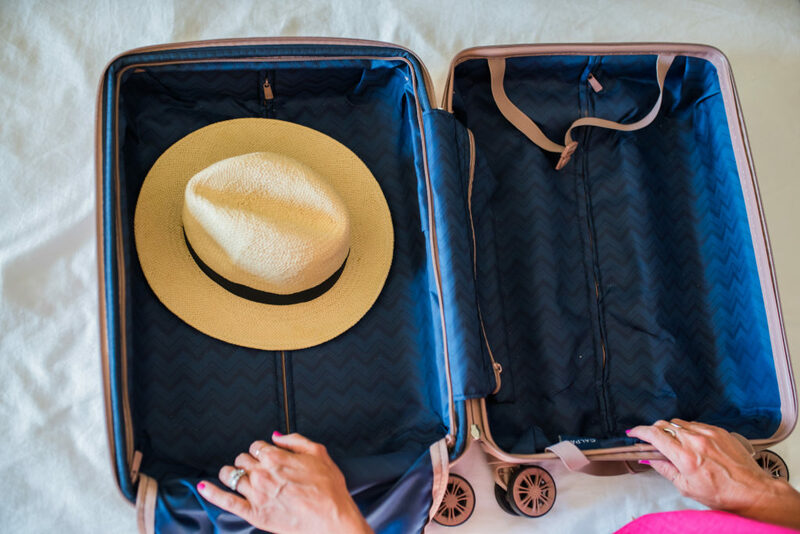 Recommend them highly – thanks Cassie for all the packing tips! Great tip… forehead slap …. easy peasy, and I missed it completely! What great idea, thank you so much. So clever! How do you stay in such great shape? I’d love to see a post on what you eat and how you stay in shape. You look amazing! Thank you! I’ve been doing Orange Theory Fitness for almost a year now, and it’s made a huge difference! I feel so much stronger now! So useful article. I have just bought a hat in the airport on my last holiday and I struggled to pack it on the way back, not damaging its shape. Next time I will know!